At the beginning of the year we went over to Costco and dropped a good chunk of change to stockpile up on meats for dinners. I thought the big buy would last us a month, but we actually still have some stuff in the freezer lingering waiting for us to cook. Last week I pulled out one of the pork tenderloin that I had seasoned with olive oil, salt and pepper, defrosted it and looked around for what else I had in the house to cook as a side. I was rushing around and didn’t want to really spend too much time cooking for the night. 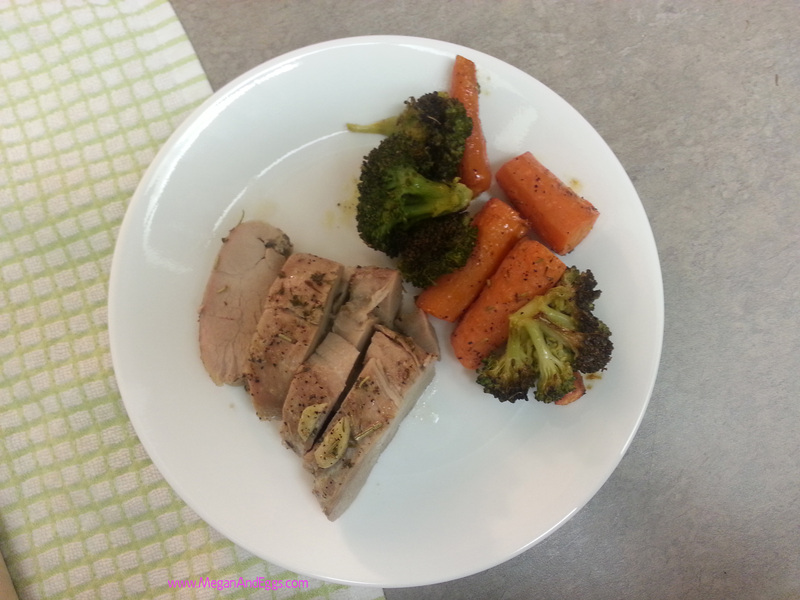 So I grabbed some carrots and broccoli that I had on hand cut them up and threw them in the pan with the pork and was pretty much ready to go. Below is the recipe, try it out and enjoy. Preheat oven to 400˚. Let pork sit for 30 minutes to come to room temperature. Cut veggies and garlic. Poke holes into pork about 2 inches apart and put garlic in. 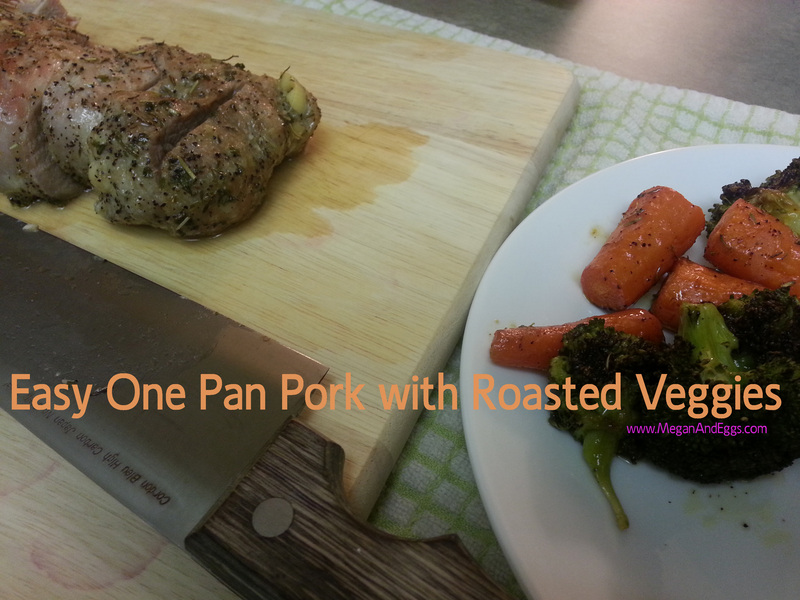 Pour olive oil over meat and veggies. Rub the oil onto the meat and then season with salt, pepper, thyme and rosemary. Cover with foil and bake for 40 minutes. Remove foil and allow meat to brown, usually 20 minutes. 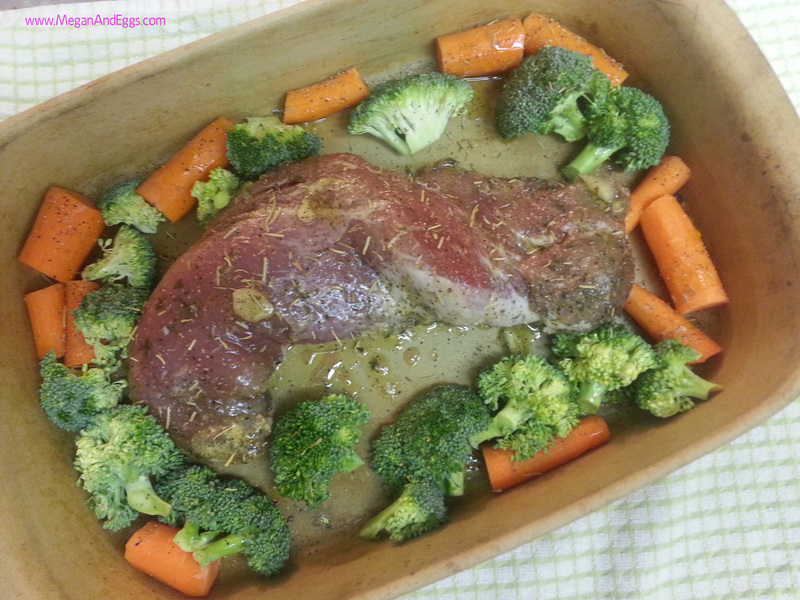 By covering with foil it keeps the meat much more moist and flavorful and the veggies don’t get singed and too burnt.